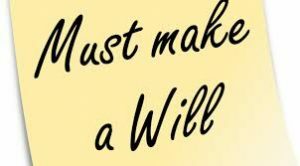 Making a will is vital, but can cost from $150 to thousands of dollars, if you use professional channels. Here are some tips on how to do it yourself, with intense attention to detail. Study Will sample wills on the internet to strengthen your grasp of how to structure yours. One example is Slater & Gordon’s amusing Fred Flintstone model. Then there’s Peter Evans and Associates’ straight take. The template provided by a do-it-yourself downloadable will kit costing between $20 and $300 can help, if you read the disclaimers and remember that one size does not fit all, experts say. Find the most objective witnesses possible: those with the least to inherit, experts say. The executor – the person who carries out the terms of your will – should be someone set to outlive you: a much younger person. Discuss plans with your family – even seek their input, says estate planner Bruce Cameron. “It doesn’t hurt to know ahead of time which of your family members wants your collection of garden gnomes, grandma’s china, or the silver tea service,” Cameron says. Lack of discussion may spark entitlement feuding, he adds. Be exact, says Cameron. Instead of identifying heirs by name alone, include details such as their birth date, address and relationship to you. Likewise, do not just denote your home by its street address – include its legal description on the deed. And, instead of just listing a charity by name, give detailed contact information. State where your assets will go if heirs and beneficiaries prove unavailable, unable or unwilling to claim their inheritance, says Cameron. For instance, the beneficiary might “predecease” you. Or, if a beneficiary is a charity, it might have stopped operating. Resist the urge to hit back from the grave. A clause saying that someone will only inherit if they quit gambling and drinking and wed someone at least 180cm tall and five years their senior may spark court battles rather than reform behaviour, says Cameron. Don’t think you can just write your will and relax, says Cameron. Regularly update and rewrite your will, reviewing it upon changes such as the birth or adoption of a child, divorce or retirement. Revision may also be necessary when you open a new bank account, buy a car or move house, he says. Mug up on your state’s inheritance rules, because they vary depending on your location, warns lawyer Shane Fischer. The Government’s “Wills and power of attorney” page offers state-specific information. Remember that in Queensland, New South Wales and Tasmania, on the day someone divorces, any previous will is revoked, according to RP Emery and Associates. Don’t bequeath peanuts to disenfranchised friends and family. For instance, forget leaving a dollar to the daughter you have not talked to in 10 years, because she could cause havoc with your estate by challenging your will, Fischer warns. If you want to disinherit the person, write: “I do not leave anything for ‘X’, my daughter. This is intentional,” Fischer says. Tell a close contact the location of your will and final wishes statement, Fischer says. Otherwise, your heirs may pick your home apart in search of the information. If they fail, you may get cremated when you should be buried.